I know what you’re thinking. Cats? Wearing hats? How did they get that cat on the cover to even cooperate to wear that hat? Well, I don’t have an answer for you, but I think we can all agree that putting a hat on a cat makes one cute kitty. 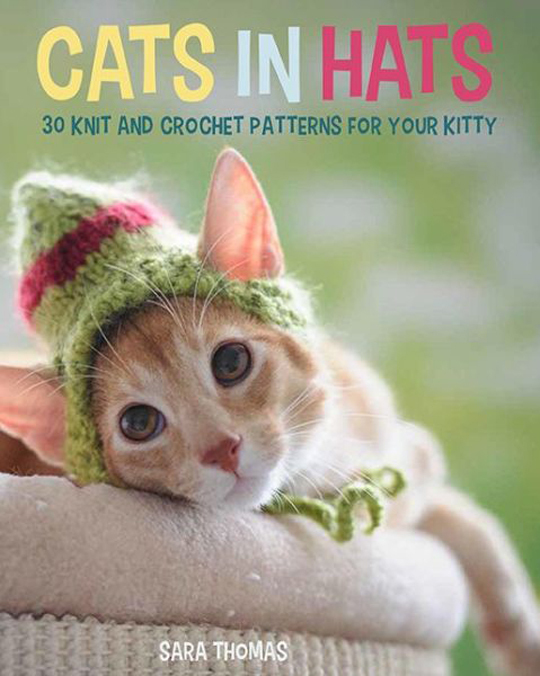 Whether you’re a knitter or a crocheter, Cats in Hats: 30 Knit And Crochet Patterns for Your Kitty is a quirky little book with a variety of hat patterns to suit your needs. Sara Thomas came up with cute and funny hats to match your cat’s personality. Cats do have very unique personalities, as we all know. Stay tuned! Tomorrow we are sharing a FREE PATTERN from this book! Join our friends on this fun blog hop! Want to win a copy of this cute book right here on the blog? All you have to do is answer this question! What have you knit or crocheted for your pets? Congrats to Kris! “I’ve made several sweaters for my Min Pin. She loves to dress up!” We’re glad your cat loves to dress up and we hope she enjoys her new hats when you make them from this book! Winners will be selected at random from the comments on this blog post. Winners will be announced here on this blog post on March 30, 2015 as well as contacted by the email address provided. You have until, March 29, 2015 at 11:59p EST to leave your comment. Comments posted after that will not be counted. 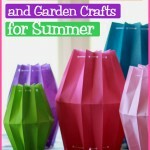 FaveCrafts Blog is the official blog of www.FaveCrafts.com, a site which offers 1000’s of free craft projects, home decor ideas, and DIY tips. I’ve made several sweaters for my Min Pin. She loves to dress up! I’ve been plotting something with pleats hanging down either side. Tee Hee. I’ve knit or crocheted many toys and several beds. If sewing counts, my cousin and I made a tuxedo, including a tail cover, for Grandma’s orange cat Rusty; he looked very spiffy! I just cop;eted a beanie for my fur child and can’t wait to try the pompom hat! She is the height of fashion. I have made many hats for my daughters 4 cats.,pumpkins, snowmen,,witches hat, dinosaur hats, Christmas trees…..they usually aren’t too excited about them but we manage to get pictures. We think they are adorable even if the cats don’t!